…before the moment is lost. Live systems require the next generation of business intelligence — operational intelligence — to capture perishable opportunities before the moment is lost. By instantly tracking and analyzing data and then generating feedback to steer behavior, operational intelligence extracts value from these systems that otherwise would be missed. While business intelligence offers strategic guidance, operational intelligence enables live systems to react to second-by-second changes, providing real-time analysis and alerts. 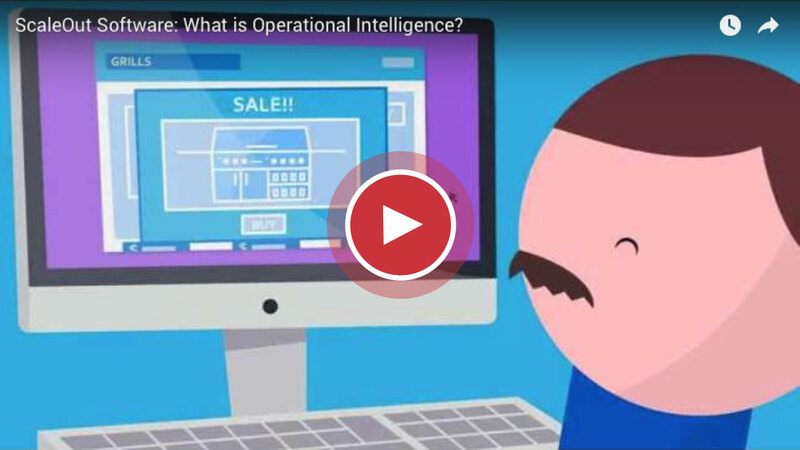 Whether suggesting a new product, rebalancing a hedge fund, or looking for an impending machine failure, operational intelligence adds important new value that can generate significant ROI. To provide operational intelligence, real-time analytics must be able to introspect on the behavior of live systems by integrating streaming data with an evolving model of data sources combined with historical information. In-memory computing (IMC) provides a breakthrough technology that enables operational intelligence with a scalable, highly available platform for simultaneously tracking and analyzing events from many data sources and providing feedback within seconds. Immediately unlock insights from fast-changing, operational data and capture perishable business opportunities. Real-time next best offer, contextual ad targeting, stock trade analysis, managing the Internet of Things — the possibilities are endless. Recent benchmarks in financial services and cable media show the power of in-memory computing to analyze live data fast and provide immediate feedback. ScaleOut unlocks the insights inside your live, operational data. Batch-based business intelligence misses perishable opportunities hidden in the churning data flowing through your business. Capture these insights with in-memory computing to give you operational intelligence. Continuously analyze and update terabytes of data in seconds. In a recent benchmark, ScaleOut ComputeServer® demonstrated that it can update and analyze a one terabyte dataset every three seconds. Use the power of data-parallel computing on in-memory data. Hadoop has shown the world how data-parallel computing can accelerate batch processing. Now perform data-parallel computations over live, in-memory data for immediate results. Combine power and simplicity with data-parallel computing. Data-parallel computing makes development fast and intuitive. ScaleOut ComputeServer keeps it simple with easy-to-use APIs, automatic workload distribution, seamless scalability, and powerful management tools. From storing, to serving, to analyzing live data, ScaleOut’s in-memory computing technology adds important capabilities to operational systems across a variety of industries.